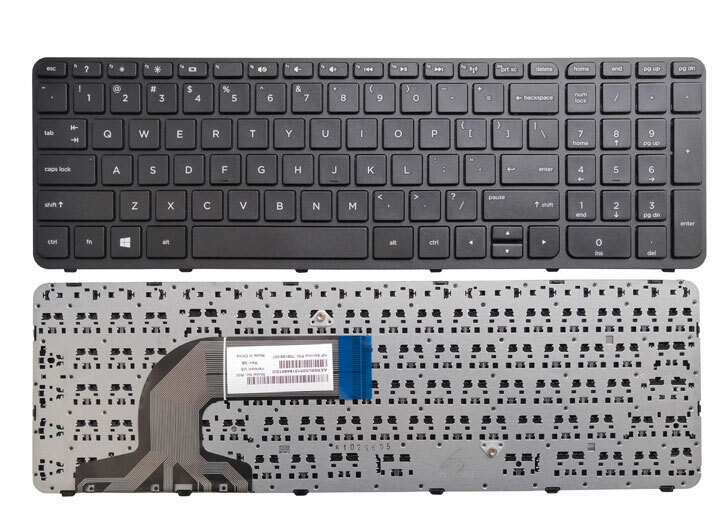 Welcome to buy replacement for HP Pavilion 15-n203ax keyboard from Notebookparts.co.nz. Our replacement for HP Pavilion 15-n203ax keyboard will get your laptop up and working the right way at the very best price. The quality of this keyboard for HP Pavilion 15-n203ax is certified as well by RoHS and the CE. All our laptop keyboards have full one year warranty for manufacturer's defects and 30-days money-back guarantee. Quality - 100% compatible with original laptop keyboard. Warranty - full one year warranty, 30-days money back for every new keyboard. How to choose the correct replacement for HP Pavilion 15-n203ax keyboard? Please compare the picture with your keyboard before you place an order, especially the ribbon cable (position, length and width). Make sure that the model of laptop and part number of keyboard is the right one you need as well as the layout version.